Two-time winner of the ultra-brutal Paris Roubaix, the FSA Gossamer Pro Compact Crankset proves that when strength, durability and budget are key, Gossamer is your choice. 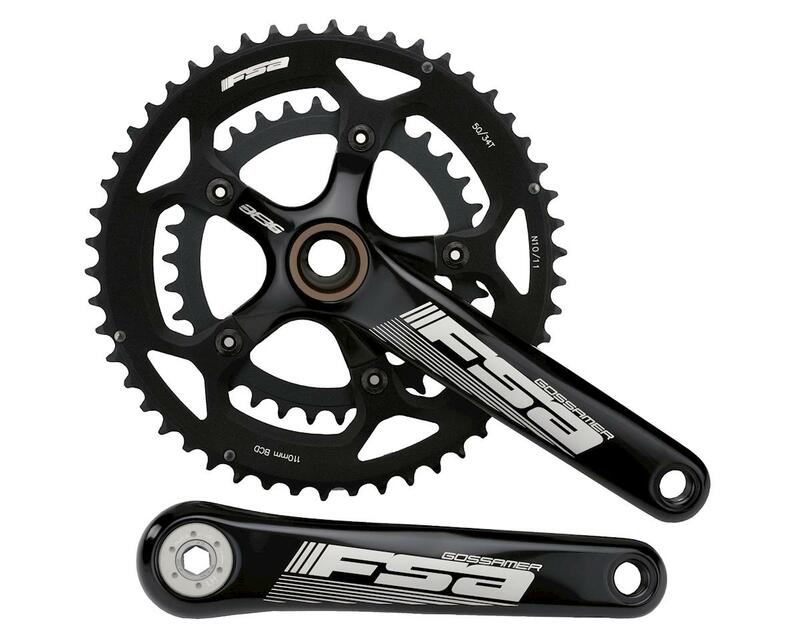 You get the stiffness of cold-forged aluminum crank arms, the precision of CNC-machined 7075 chainrings that are ramped and pinned for smooth shifts, and the flexibility to fit multiple frame BB standards, thanks to its BB386EVO compatibility. With the Gossamer Pro, you don't have to spend big bucks to enjoy big performance.